This week I’m releasing an interview with Marty Golden, a friend of mine who also happens to be an amazing acupuncturist and Zero Balancing Practitioner right here in Wichita, KS at Wichita Holistic. I’ve known Marty almost 5 years now and we regularly exchange sessions in the work we do to help each other out. Every holistic practitioner needs an exchange buddy IMHO! We all need to receive as well as give in order to be balanced and helpful to our clients. 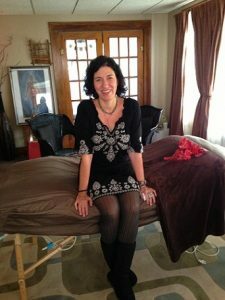 Marty joined Wichita Holistic after studying with Kali Day, another acupuncturist who had set up the clinic. Kali moved to the Northeast as a family move and now Marty is running the clinic! You can read Marty’s bio here. Both Marty and Kali have studied with the late Dr. Lorraine Jones and practice 5 Element Acupuncture. Marty offers acupuncture services and Zero Balancing to her clients and is staying very busy! Zero Balancing is a wonderful body balancing experience which I love and which we’ll focus on in another blog post. During the interview, Marty told me more about 5 Element Acupuncture and how it differs from TCM or Traditional Chinese Medicine. “People may not be aware that there are different types of acupuncture or different philosophies or history, lines. “Everything is composed of these 5 elements. This form of acupuncture was practiced through the ages in China until the advent of Chairman Mao and a lot of changes happened. 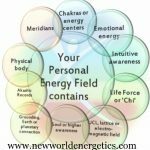 “We can treat symptoms but as holistic acupuncturists we are curious about why the symptoms are there in the first place. Each of the 5 elements have organs in the body which are associated with them, so for example – the element of Metal is connected to the Lungs and Colon, the element of Wood is connected to the Gallbladder and Liver. “Once we have assessed a client’s element, it is known as their ‘Causitive Factor‘ – both their great potential for growth and their weakest link. We look at the big picture then move in to the organs and check on their functioning (based in part by pulse taking) – that’s when we can determine the client’s Causitive Factor or CF, which is both perhaps their weakest link but also their greatest potential for growth. Sarah: I think I’d like to ask you to share one thing you’d like people to know about meridians and what they are, exactly? Marty: 1st thing – they exist! They are really real! There are now scientific studies to prove the existence of meridians. Meridians are channels where the energy flows through the body – they move in specific directions. They are necessary for life to exist and channel our chi or life force. Another way that we can decide on client treatment is to assess where there might be energy blocks in the meridians and work on creating a balance in the meridians. Sarah: Why are you so passionate about acupuncture? Marty: I started having treatment as a patient, I was helped by it so much. 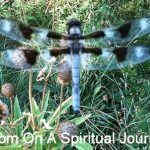 I resonated with the whole system, based on my own experience of being helped. Sarah: Well I already know you have helped more people than that! Sarah: Can you give people some reasons why they might choose to come for an acupuncture session? Marty: A lot of people come for acupuncture after they’ve gone through a lot of other avenues for healing – they’ve tried everything else. A lot of people are in pain and are coming for relief. Thanks to Marty at Wichita Holistic for her time! I plan on interviewing Marty another time to go more deeply into this beautiful work of 5 element Chinese acupuncture, and also to explain the wonders of Zero Balancing. How can people book with Marty at Wichita Holistic? Have you ever had acupuncture and how did it help you? Always interested to hear your healing stories! ?